Looking for a local partner to help your business grow by providing on-time, cost-effective deliveries in Worcester? Then you’ve come to the right place! 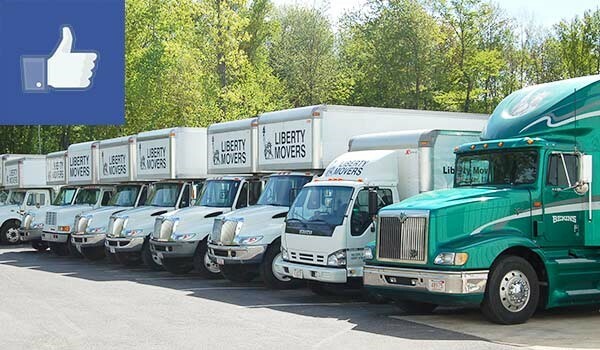 Instead of making hundreds of trips yourself or relying on overworked and unreliable delivery companies, trust your business deliveries to a family-owned company with nearly a century of moving and shipping experience: Liberty Movers! Since 1920, we’ve handled Worcester local deliveries for companies of all sizes and industries. When you want the quickest and most cost-effective local delivery services, it makes sense to work with a company that already knows the area inside and out. At Liberty Movers, we’ve not only been active in central Massachusetts for almost a hundred years; we’re also Worcester’s oldest and largest moving company! That means that we have a professional knowledge base and local expertise you won’t find anywhere else. Plus, because we’re a longtime agent for Bekins Van Lines, we have access to some of the most advanced moving technologies in the industry. For you, the bottom line is this: Our state-of-the-art equipment, professional staff, and unparalleled performance history guarantee stress-free, cost-effective, and on-time delivery services—every time! As an experienced Bekins agent and a member of the American Moving and Storage Association (AMSA), Liberty Movers has the up-to-date knowledge and equipment to deliver products all across the country! So whether you need local-only deliveries or nationwide support, we’re the company you can put your trust in. Give us a call today to learn more about our cost-effective Worcester storage and delivery services, or submit our brief online form to request your free cost estimate!